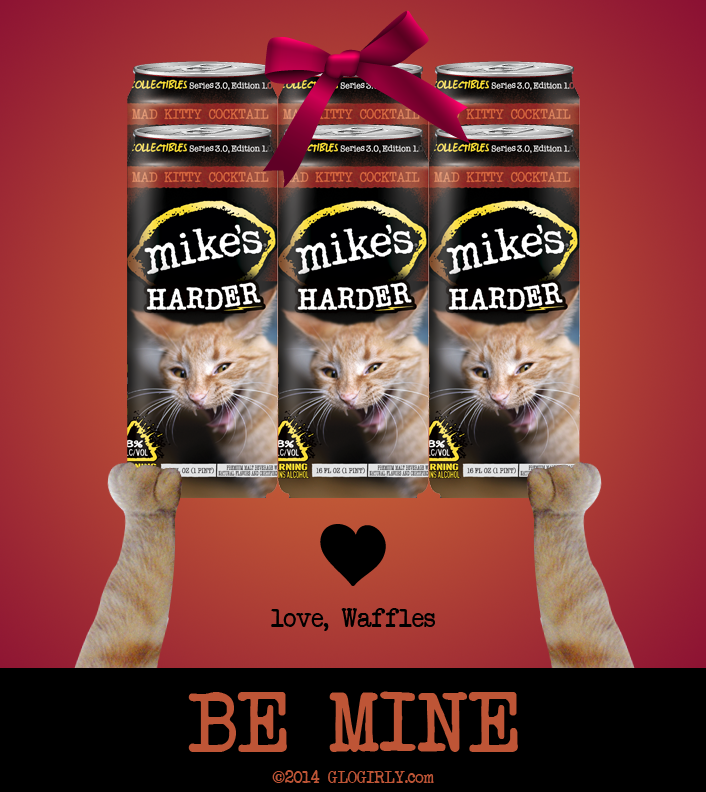 WAFFLES: Pleeze help me get my picture on the NEW Mike's Harder Lemonade can! Just click the link and log in with Facebook or your email. Move the voting *slider* over to cast five whole votes! You'll only need to do this once ...according to Mike. But that doesn't mean your husbands, brothers, sisters, friends, cousins, aunts, uncles, neighbors and the mailman can't vote either! Purr-sonally, I think Mr. Mike needs a CAT on his can. UPDATE: Voting is open WORLDWIDE...if you live outside the US you may have to select your location in a drop-down menu. Please vote responsibly... for WAFFLES! KATIE: Happy Valentines Day anyway. And please share...for the orange boy's sake. And mine. 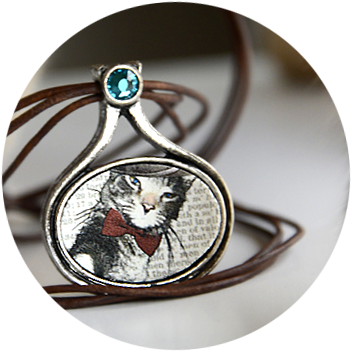 ...or if you can't wait, save 20% now thru March 31 with promo code glocat20 at Laughing Cat Studio. Maybe if he wins he'll have to leave home for a big old tour? Waffles you don't need to be on the packaging of lemonade to make us love you even more. We're already inlove with your furrypack! Happy Valentine's day to you and Katie. Purrs & Kisses--big wet sloppy kisses. 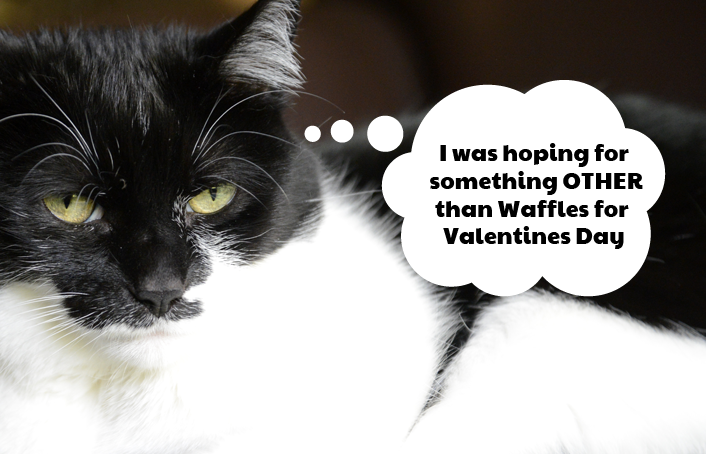 Katie, I'm sorry you got stuck with a Waffles post for Valentine's Day - but my human went over and voted! We dig your six-pack Waffles! Aw Katie, we hope you get some salmon for theese one! Happy Valentine's Day to you all, we hope it is real sweet! I'm having server issues, apparently, and kinda busy with BratCat :/ but please remind me & I'll vote up, and get MouseSpouse to do it also. We think you're hot with or without, Waffles! MOL! We are sooo excited about this contest. Our Daddy distributes this stuff (and lots of other good stuff!) and we think it would be so cool for you to win! Keep reminding us to vote and how we can help. It's not open to peeps outside of the USA. Anyway, after a little fib on that account, the site won't let me vote cause it keeps giving me an error. Sorry, I tried. Hope Waffles wins. We're voting ... Katie, maybe he'll go on tour fur a LONG time!!!!! I think everyone needs a cat on their product! 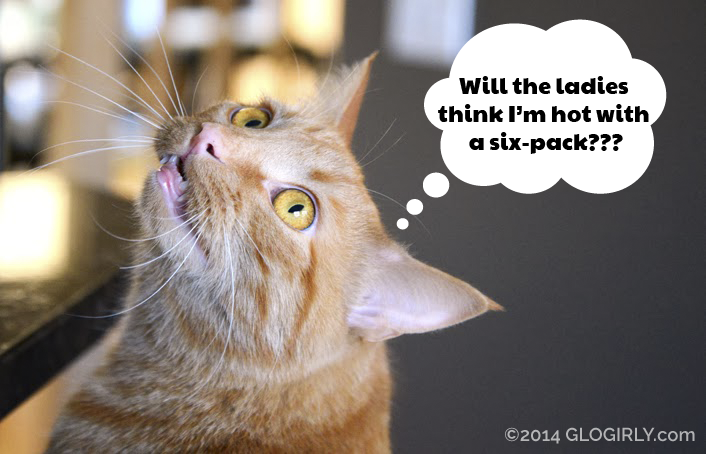 Waffles, every mancat needs a six-pack to show off to the laydeez! An orange cat needs to be on that can! We voted! Oh awesome, we can vote now! I'm headed over there right now!! Thanks for letting us know! And we will share your post as well to try and get some more votes! Love from the Zee and Zoey Gang! hilarious! we hope you win Waffles! We voted, Waffles! I think you're just what Mike's needs. Happy Valentine's Day! Headbutts all around. Happy Valentine Day to all of you over there! Happy Valentines to all of you from all of us! Happy Valentines Day!! We voted!! Happy Valentine's Day, dear ones. We love you! Katie, you look so sad. I think your gurl should’ve designed a flavor for you, too. Hope you got something nice from that Bob guy you’re dating. Happy Valentine’s Day! Waffles, I think I voted for you - that Zooppa thing is weird. But I also think it said that you're winning. Yay! And I don't even drink. I voted! It said it is not open outside of the US, but I moved the slider and it accepted my vote. It keeps giving me errors. Will kept trying to vote. Happy Valentine's Day. Happy Valentine's Day to you friends! Dood! We ran right over... this could be PAWESOME!!!!! Voted! Woah... this would be so great! Got all my paws crossed for you, buddy. I'm hopin' and purrin' that you win. Mes is with Kitties Blue, but yous could just squish Waffles into a glass and pour the Mad Kitty Cocktail over them! Happy Valentine's Day! I think that you would look great on those cans! Wohoo! Was finally able to vote on IE.